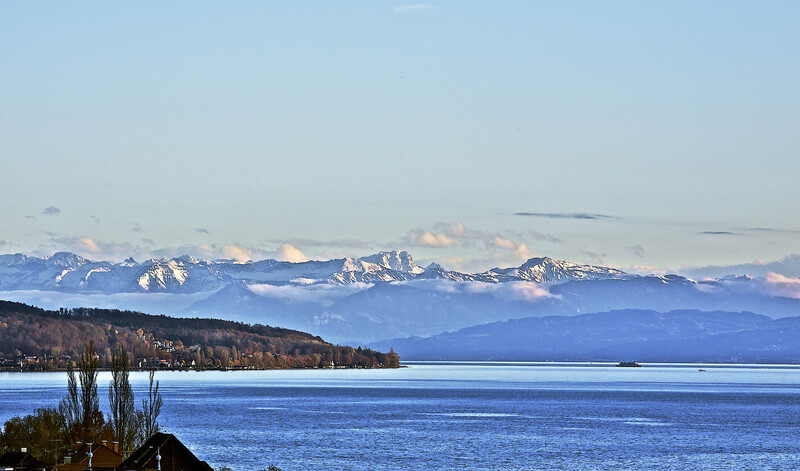 Lake Constance, in German called Bodensee, is situated in Germany, Austria and Switzerland near the Alps, formed by a glacier in the last ice age. The river Rhine is flowing into it from the south, following the Austro-Swiss frontier passing the Rhine falls at Schaffhausen. The lake is Europe’s third largest freshwater lake, covering approx. 517 km² and has a length of 63 km and the widest point is 14 km. It greatest depth is 252 meters. A boat ride on the lake is a must and a normal mean of transportation to get from one side to the other. Besides its size, the lake offers the unique possibility to wake up in Germany, drive across to Switzerland to have lunch and to end the day in Austria. The area offers many possibilities, places to visit and activities. 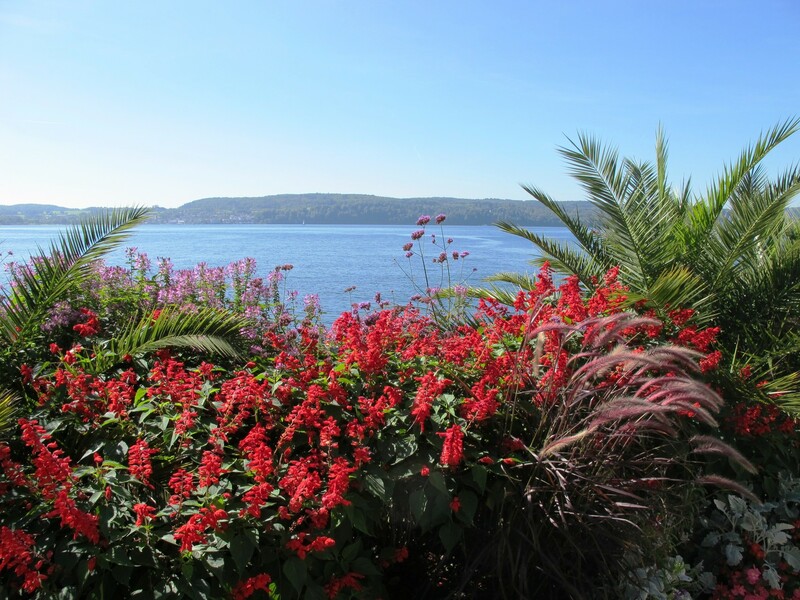 Most popular are bike tours along the lake, but one can also enjoy the relaxed life along the waterfront of the lake with plenty of excursion sights. 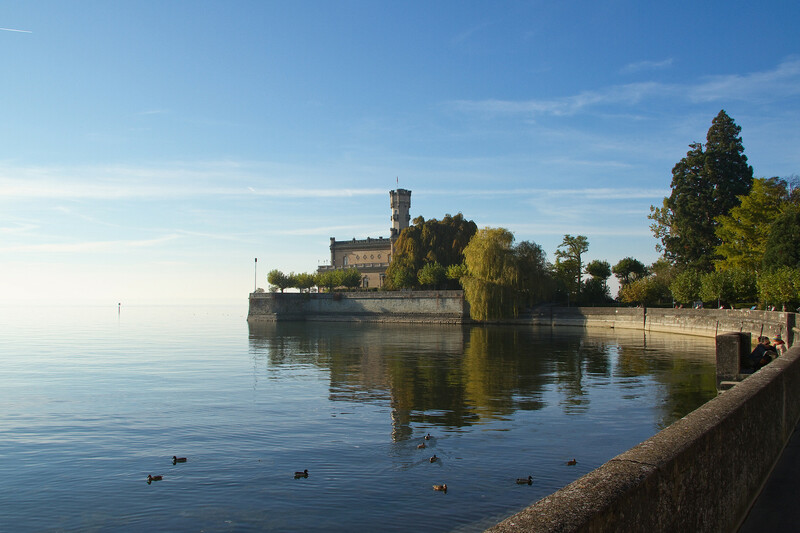 Playing a central role in European history, the area of Lake Constance offers a great variety of vineyards and meadows, beaches and alpine foothills, baroque churches and abbeys, Roman forts and medieval castles. Along the lake, many small villages invite for a stop and sightseeing. 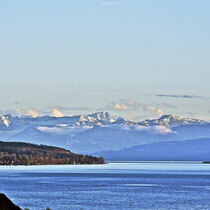 Numerous attractions and activities make Lake Constance a spot for tourists from all over the world. 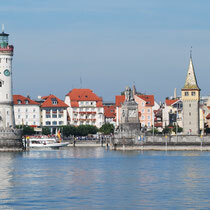 Konstanz – the former medieval center and host of the Council of Constance can look back upon a lively history, which still shows in the town’s architecture. The cobbled old town with many medieval buildings like the impressive Münster invites for a stroll, the waterfront and the promenade along the lake is perfect for a glass of wine and great food from the area. 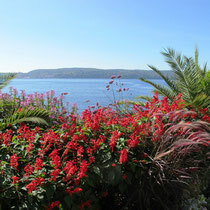 Close to Constance is Mainau Island, a place boasting with flowers in Mediterranean gardens and a baroque castle. 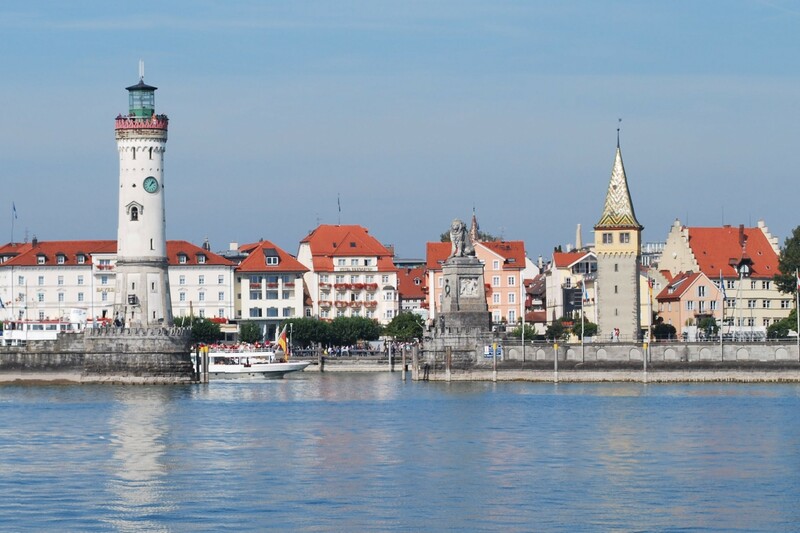 Lindau – also called the Bavarian Riviera is located in the eastern part of the lake close to the Austrian border. Ships go in and out of its picturesque harbor and the beautiful town with its old town hall from 15th century offers a great view on the Alps. Bregenz – the town on the Austrian side, is home of the world famous Bregenz Festival, when opera, classical music and even rock is celebrated on a huge water-borne stage with a magnificent view on the lake. A cable car brings one up to the peak of Pfänder, offering a breathtaking view over the town of Bregenz, the panorama of the Alps and the lake.